(i)	A complaint can be quashed where the allegations made in the complaint, even if they are taken at their face value and accepted in their entirety, do not prima facie constitute any offence or make out the case alleged against the accused. (ii)	A complaint may also be quashed where it is a clear abuse of the process of the court, as when the criminal proceeding is found to have been initiated with mala fides/malice for wreaking vengeance or to cause harm or where the allegations are absurd and inherently improbable. (iii)	The power to quash shall not, however, be used to stifle or scuttle a legitimate prosecution. The power should be used sparingly and with abundant caution. (iv)	The complaint is not required to verbatim reproduce the legal ingredients of the offence alleged. If the necessary factual foundation is laid in the complaint, merely on the ground that a few ingredients have not been stated in detail, the proceedings should not be quashed. Quashing of the complaint is warranted only where the complaint is so bereft of even the basic facts which are absolutely necessary for making out the offence. (v)	A given set of facts may make out: (a) purely a civil wrong; or (b) purely a criminal offence; or (c) a civil wrong as also a criminal offence. A commercial transaction or a contractual dispute, apart from furnishing a cause of action for seeking remedy in civil law, may also involve a criminal offence. As the nature and scope of a civil proceeding are different from a criminal proceeding, the mere fact that the complaint relates to a commercial transaction or breach of contract, for which a civil remedy is available or has been availed, is not by itself a ground to quash the criminal proceedings. The test is whether the allegations in the complaint disclose a criminal offence or not.” Binod Kumar v. State of Bihar, (2014) 10 SCC 663. “Connivance may in certain situations amount to consent, which explains why the dictionaries give ‘consent’ as one of the meanings of the word ‘connivance’. But it is not true to say that ‘connivance’ invariably and necessarily means or amounts to consent, that is to say, irrespective of the context of the given situation. The two cannot, therefore, be equated. Consent implies that parties are ad idem. Connivance does not necessarily imply that parties are of one mind. They may or may not be, depending upon the facts of the situation.” Anvar P.V. v. P. K. Basheer, (2014) 10 SCC 473. There can be no differential treatment between an employee directly recruited vis-à-vis another who is promoted. So long as the two employees are a part of the same cadre, they cannot be treated differently either for purposes of pay and allowances or other conditions of service, including the age of superannuation. Take for instance, a directly recruited District Judge vis-à-vis a promotee. There is no question of their age of superannuation being different only because one is a direct recruit while the other is a promotee. So also an IAS officer recruited directly cannot for purposes of age of superannuation be classified differently from others who join the cadre by promotion from the State Services. The underlying principle is that so long as the officers are a part of the cadre, their birthmarks, based on how they joined the cadre is not relevant. They must be treated equal in all respects: salary, other benefits and the age of superannuation included. Union of India v. Atul Shukla, (2014) 10 SCC 432. The Hon’ble Supreme Court in Board of Trustees v. CCE, (2007) 216 ELT 513, noted that in order to constitute “goods”, twin tests have to be satisfied, namely, the process constituting manufacture and, secondly, marketability. It was further observed that if the “goods” are not capable of being sold, then the test of marketability is not fulfilled. The burden is on the department to prove whether there exists the process which constitutes manufacture, and, secondly, whether the product is marketable. In Bata India Ltd. v. CCE, (2010) 5 SCC 490, the Hon’ble Apex Court was considering the question as to whether unvulcanised sandwiched fabric assembly produced in the assessee’s factory and captively consumed by it could be termed as “goods”. It was observed in the facts of the case that the product in question was used as an intermediate product and went into the making of a component for the final product. But, the burden to show that the product in question was marketed or was capable of being bought or sold in the market so as to attract Central Excise Duty was entirely on the Revenue. It is therefore clear that before a product can be classified as “goods”, it must be shown to be a complete product, having a commercial identity and capable of being sold to a consumer. All this has to be established by the Revenue. Siddharth Optical Disc Private Limited v. Union of India, 7 ITCC 210. As per Merriam Webster Dictionary, the word “gain” means something wanted or valued that is gotten; something that is gained; especially money gotten through some activity or process, something that is helpful: advantage or benefit; an increase in amount, size or number. “Gain” means increase or addition to what one has of that which of profit, advantage or benefit; resources or advantage acquired, profit; opposed to laws; act of gaining something ; specially, the obtaining or amassing of profit or valuable possessions; acquisition, accumulation, Breuer’s Income Tax, In Re , 190 SW 2d 248 : 354 Mo 578 (1945). Under the Retail Sales Tax Act, defining “retailer” as every person engaged in business of making sales at retail, and defining “business” as any activity engaged in with the object of “gain, benefit or advantage”, social club which furnished, without profit food and drink to its members and their guests was subject to tax, since, although club realized no “profit” from furnishing of food and drink, it did realise “gain, benefit or advantage”. Gen. Laws 1937, Act 8493, Section 2(c-e). “Profit” may be said to be “gain, benefit or advantage”, but “gain, benefit or advantage” does not necessarily mean only “profit”. Union League Club v. Johnson, 115 P 2d 425 : 18 Cal 2d 275 (1941). A “vendor engaged in the business of selling tangible personal property”, so as to be liable for sales tax, is one who commences, conducts or commences, conducts or continues in the activity of selling tangible personal property, with the object of gain, benefit or advantage, wither direct or indirect, irrespective of whether sales are made for “profit”, since one may engage in a business activity with an object of “gain, benefit or advantage” and not necessarily for “profit”. Gen. Code, Section 5546-1 et seq., 116 Ohio Laws, Pt. 2, p. 323. “Profit” may be “gain, benefit, or advantage” but “gain, benefit or advantage” does not necessarily mean only “profit”. State v. Zellner, 13 NE 2d 235 : 133 Ohio St 263 (1938). In Arthur Average Association for British, Foreign and Colonial Ships, In re ex p Hargrove and Company, (1875) LR 10 Ch App 542 (DC), it was held that “gain” is not restricted to pecuniary or commercial profits, it includes other considerations of value obtained. From the above dictionary meanings and judgment of 1875, it becomes clear that the word “gain” is not synonymous with the word “profit”, It is not restricted to pecuniary or commercial profits and includes other considerations of value gained. Any advantage or benefit acquired or value addition made by some activities would amount to “gain”. Brihan Mumbai Mahangarpalika v. Willingdon Sports Club, (2013) 16 SCC 260. A power of attorney is not an instrument of transfer in regard to any right, title or interest in an immovable property. The power of attorney is creation of an agency whereby the grantor authorizes the grantee to do the acts specified therein, on behalf of grantor, which when executed will be binding on the grantor as if done by him. 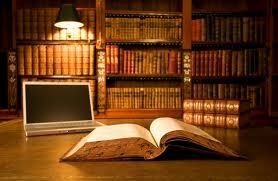 It is revocable or terminable at any time unless it is made irrevocable in a manner known to law. An attorney holder may, however, execute a deed of conveyance in exercise of the power granted under the power of attorney and convey title on behalf of the grantor. Suraj Lamp and Industries Private Limited v. State of Haryana, (2012) 1 SCC 656. “One of the principles well known in the matters of service is that if a person has worked, he must be paid and if he has not worked, he should not be paid. This is expressed in doctrine, ‘no work, no pay’. Another oft repeated principle in service jurisprudence is that if an employer has wrongly denied an employee his due then in that case he should be given full monetary benefits. “Even after punishment imposed upon the employee is quashed by the court or tribunal, the payment of back wages still remains discretionary. Power to grant back wages is to be exercised by the court/tribunal keeping in view the facts in their entirety as no straight-jacket formula can be evolved, nor a rule of universal application can be laid for such cases. Even if the delinquent is re-instated, it would not automatically make him entitled for back wages as entitlement to get back wages is independent of re-instatement. The factual scenario and the principles of justice, equity and good conscience have to be kept in view by an appropriate authority/court or tribunal. In such matters, the approach of the court/tribunal should not be rigid or mechanical but flexible and realistic. Thus, while considering the question of arrears of salary, where the employee could not work for an act of employer, which is found to be illegal or unauthorized, direction for payment of full salary or arrears of salary is not automatic or mechanical but has to be considered in the light of the numerous attending circumstances and the facts of the case. Bhagwat Prasad v. State of U.P., 2014 (6) AWC 5858.